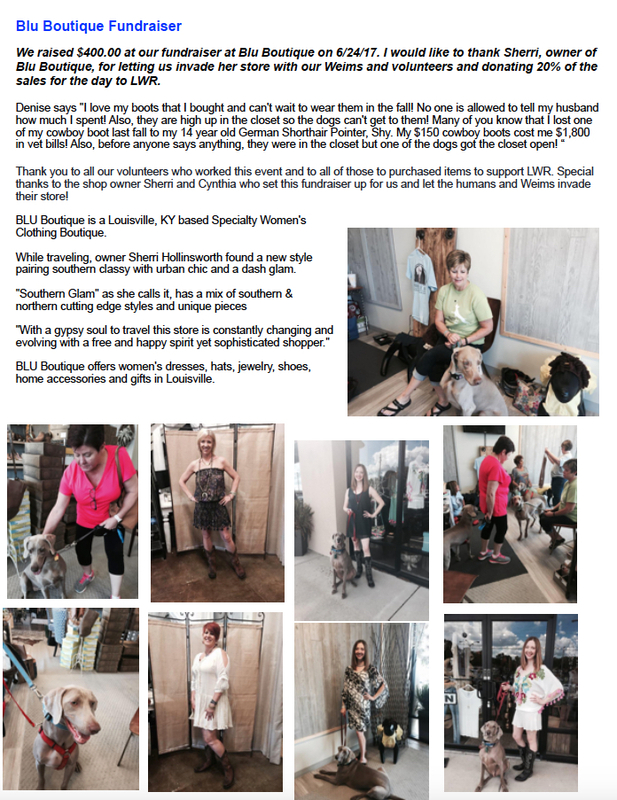 FOSTER | Louisville Weimaraner Rescue Inc.
Louisville Weim Rescue takes great pride in being able to accept and place most of the requests we get for Weims to come into our program – whether from shelters or owner relinquishments. We service Kentucky, Indiana, Ohio, West Virginia, and sometimes surrounding states as well. Our foster homes provide sanctuary for our rescued Weims, and we can only save as many lives as we have foster homes for. LWR provides the needed physical parameters of fostering, YOU provide love and care. The number of Weimaraner relinquishment calls has increased yearly since LWR started in 1997. On any given day, we have Weims waiting in shelters for foster homes. Most shelters have a designated stray wait period of 3-10 days. Once that wait period is over, the Weim can be euthanized for space or any other reason the shelter deems appropriate. We have to act fast at that point, and need open foster homes who can take Weims quickly. We also have a waiting list of families giving up their Weims. Sometimes the Weim is ok at their home for a period of time until we can find a foster home for them, sometimes they are in emergency situations and need out immediately. If you have considered fostering a Weim, there is no better time! Consider your friends and family, might they be interested? Why do we need foster homes? We don’t have a physical, brick and mortar facility for our Weims. We depend on foster homes to care for our Weims until their permanent homes are found. Many Weims show signs of stress, such as pacing or hiding, when in the shelter or boarding facility and benefit from a home environment. Fostering provides the Weim more opportunities for socialization, exploration, relaxation, and expression of a wide range of normal behaviors that are difficult to achieve when the Weim remains in a shelter or in their previous home. Having the Weim in a foster home environment also helps us get to know him or her so we can place them with their forever family based on their personality and needs. Additionally, a Weim may need to recover from surgery, illness, or injury and need a safe home to recuperate in. Why should I foster a Weim? ▪ Make a Difference – by giving a Weim the opportunity and time he needs to be ready for adoption. This includes socializing the Weim to a good home environment, teaching him how to be a good house dog, teaching him basic training, getting him used to being around other pets and different types of people, and paying attention to his special needs. All these things give him a better chance at finding his forever home. ▪ Provide Insight – by helping LWR learn more about the Weim, his needs, his quirks, his preferences, so he can be adopted into a home that works for him and his new family. ▪ Be Entertained – when you foster a Weimaraner, you’ll never be bored! There is always something to do with your foster from cuddling to socializing to playing fetch to training. Their amusing personalities and endearing quirks will keep you on your toes. ▪ Feel Pride – by getting a homeless Weim ready for adoption by sharing your love, time, and friendship. It’s such a rewarding feeling. ▪ Join the Community – you will make new friends by fostering! It’s a great way to meet new people who care about animals, specifically Weimaraners. ▪ Save Lives – by opening your heart and home to saving or improving a Weimaraner’s life. Fostering is the most hands-on way you can help a Weimaraner who needs you. Yes, it can be emotionally difficult to see the Weim you fostered leave you and move into their new home, but you will feel so proud to have saved a Weim’s life, as well as given a family their new forever pal. Know that you are the intermediate step between the Weim’s old life and new life, and be proud that you helped him on his way. Bringing Weims and people together is simple when you give each animal a brighter future through fostering. Fostering also comes with the benefits that we give ourselves. By opening our hearts and homes to homeless Weims, even for a very short time, we feel a sense of accomplishment. When our duty has ended for each Weim, we can be happy knowing how much of a difference we made. The commitment to fostering is as important to you as it is to the Weim. You have shown compassion in ways that most only wish they could. By adopting, you save one Weim; by fostering, you save many! 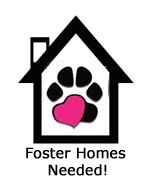 Below are links to our Foster Home Application and our Volunteer Waiver Agreement. 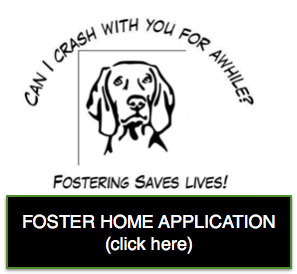 If you are interested in fostering, both forms need to be completed. The Foster Home Application is a form that can be completed and submitted online. The Waiver Agreement is a PDF that must be printed, completed, signed, and faxed to 812-256-0249, emailed to rescue@louisvilleweimrescue.com, or mailed to the address on the form.